Your Office Just Got a Receptionist You Don’t Have to Pay For - Cloud based phone systems today include features that completely eliminate the need for a receptionist. Systems can be configured in order to route calls directly to the intended employee via a unified auto-attendant. Also, if your office doesn’t have a receptionist, systems can distribute incoming calls among specific groups. This goes beyond simply sending sales calls to salespeople and admin calls to support employees. For example, you can use Caller ID to send specific accounts directly to the CEO’s cell phone. Or if none of the salespeople answer an incoming call, it goes to the Sales Manager’s cell phone. Unlimited Locations, 1 Office Number - With the rampant growth of startups and virtual companies, many businesses need to have a communications system that supports both in-house and remote workers while maintaining a professional image across the board. 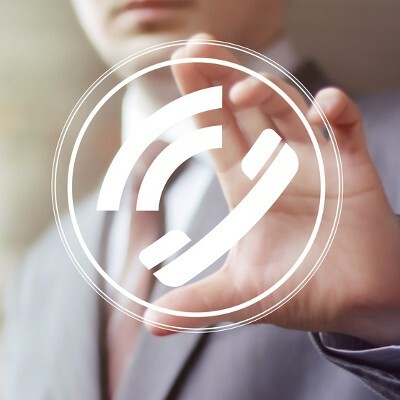 With cloud voice, calls to the main office can be sent out anywhere simply by asking the customer to dial an extension, just like how large corporations are doing. Seamless Conference Calls and Lightning-Fast Voicemails – Conference calls or online meetings are often a source of frustration for most companies. This is due largely to the tendency to bolt-on collaboration tools in the hopes that things will work smoothly during the meeting. However, they rarely ever do. Cloud voice solutions enable businesses to host conferences during meetings so you can be “face-to-face” even when you can’t be in the same location. Furthermore, all technology is hosted through a single solution so when it’s time to host a meeting, businesses can rest assured that the technology will perform as promised. Another way in which cloud voice accelerates collaboration is through its ability to convert voicemails into MP3 files, which can be sent as email attachments. Additionally, voice calls can be converted to text and vice versa for easier retrieval and communication. Collaborate on the Fly. – Today’s employees need to be constantly connected. Collaboration can’t always be planned out in advance and when a good idea strikes, everyone needs to be in the loop. Cloud technology has made it easy for employees to see from their desktop what their co-workers are doing and how to best access them (e.g. instant message, voice, or email) so communication can happen immediately. There are many advantages to moving a company’s using cloud voice. For small business, the rewards are plentiful because they can utilize the same technology as large enterprises for a fraction of the cost and make them look just as big.